At Hiranandani Communities, the trend is to create landmarks which set benchmarks. It is matter of pride for Hiranandani Communities that Hiranandani Signature, our maiden project in the Gujarat International Finance Tech City is also the first fully operational commercial tower within the international financial services Centre at GIFT City, said Dr. Niranjan Hiranandani, CMD, Hiranandani Communities. At Hiranandani Communities, the trend is to create landmarks which set benchmarks. 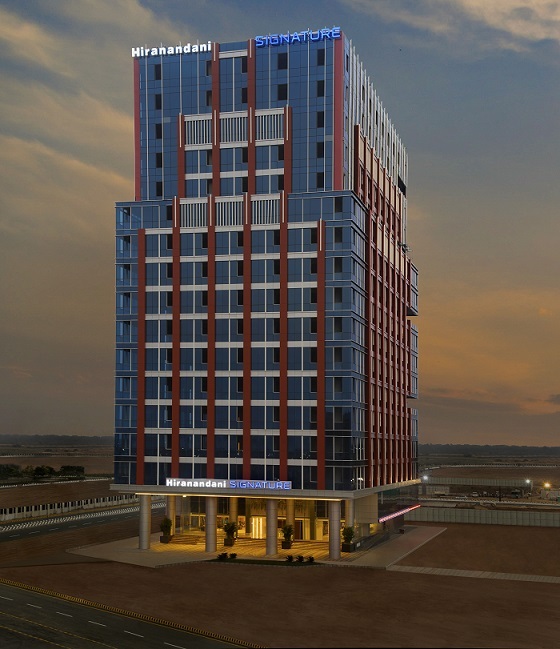 It is matter of pride for Hiranandani Communities that Hiranandani Signature, our maiden project in the Gujarat International Finance Tech City (GIFT City) is also the first fully operational commercial tower within the international financial services Centre (IFSC) at GIFT City, said Dr. Niranjan Hiranandani, CMD, Hiranandani Communities. India’s first International Financial Services Centre (IFSC) at the Gujarat International Finance Tech City (GIFT City) made its global mark, by being named among the top three emerging business hubs in the world. The latest edition of ‘Global Financial Centres Index 24 (GFCI)’, released in London last week, places GIFT City as the third among 15 IFSCs that are likely to become more significant in the next few years. “This effectively features GIFT City as one of the significant emerging IFSCs in the world,” said a visibly elated Dr. Niranjan Hiranandani. He added that the GFCI report is produced bi-annually by the China Development Institute (CDI) in Shenzhen and Z/Yen Partners in London, which is a leading commercial ‘think tank’. GIFT City is more than just Prime Minister Narendra Modi’s dream project. The IFSC has empowered the Indian Banking and Financial Services and Insurance (BFSI) sector, enabling it to compete with global players – without the need to set up an office at global finance centers like Singapore, Dubai or London. When Prime Minister Narendra Modi commenced business activities by ‘ringing the bell’ at the BSE’s global exchange on 09 January 2017, he did so in ‘Hiranandani Signature’ – where the BSE’s Global Trading Exchange is located. One of India’s leading real estate companies, Hiranandani Communities has pioneered newer technologies, bold design and precision engineering to create landmark residential townships and commercial complexes. Hiranandani Signature is an achievement – and it is not just about the tower being completed within 13 months, but also how it was done, by following global best practices, some of which were picked up when ‘23 Marina’ was constructed in Dubai, in the United Arab Emirates (UAE) a few years back. Hiranandani Signature, the first fully functional commercial tower in GIFT City’s IFSC, offers a ‘no compromise’ methodology as regards structural stability and safety aspects. Home to the Bombay Stock Exchange’s global trading platform since 09 January 2017, it is not just an achievement for India’s BFSI sector but also fulfillment of Prime Minister Narendra Modi’s dream of setting up an International Financial Services Centre in India. “It is going beyond the Prime Minister’s dream, to have the Global Financial Centres Index 24 (GFCI), last week, place GIFT City as the third among 15 IFSCs likely to become more significant in the next few years. It definitely points to an even brighter future,” concluded Dr. Niranjan Hiranandani. Dr. Niranjan Hiranandani is Founder & MD, Hiranandani Group, his recent initiative is Hiranandani Communities. He is the President, National Real Estate Development Council (NAREDCO), which works under the aegis of Ministry of Housing & Urban Affairs, Government of India.